For the past decade, scientists have been working on the assumption that 20,000 genes, less than 2 percent of the total genome, underpin human biology. 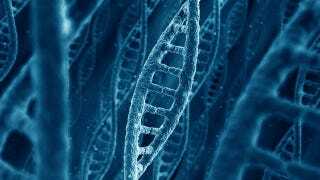 But a massive international project called ENCODE has just revealed that plenty of the remaining 98 percent, once tossed aside as "junk DNA", is in fact incredibly important. In fact, the project—known more formally as the Encyclopedia of DNA Elements—reveals that 80 percent of that "junk DNA" is biochemically active. Add to that the fact that large stretches of DNA that appeared to serve no purpose actually contain over 400,000 regulators that help activate or silence genes, and the scientific community is surprised to say the least. The finding required an international team of 442 scientists and a decade of research to come to fruition. But, according to Ewan Birney of the European Bioinformatics Institute in the UK who spoke to the Wall Street Journal, the discovery "is like a huge set of floodlights being switched on". The findings will shake up biology for good, and are already starting to help scientists better understand disease. It will, however, take a long time for scientists to get to grips with the vast quantities of information this research yields. To give you some sense of scale, the main research findings alone are being published in 30 central papers in Nature, Genome Biology and Genome Research. With plenty more to come, biologists will be kept busy for some time.